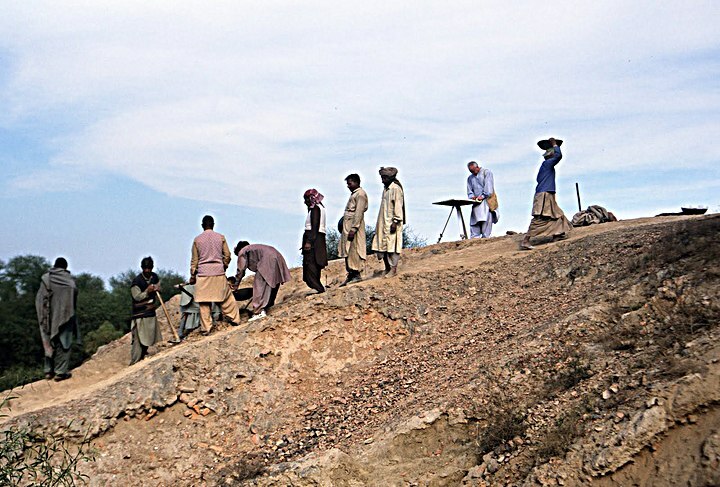 Dr. Mark Kenoyer and the excavation team at Harappa. The origins and character of the Indus urban phenomenon, presenting current interpretations but not burdening the nonspecialist with ceramic sequences and other details. Following the first excavations and regional surveys, most early interpretations of Indus civilization assumed a Near Eastern or external stimulus and used simple diffusion models to explain its development. However, traders and even whole communities were moving between the various regions of Western and Southern Asia from a very early period, so that, by the time farming villages were established and long before the rise of urbanism, overlapping networks stretched from Anatolia to the Indus Valley and from Central Asia to Arabia. Such interconnections logically preclude the traditional assumption of sharply delimited cultural zones, although this misconception still interprets single sites as points of origin for innovations. However, as more interaction networks are defined, it appears that metallurgy, ceramics, agriculture, animal husbandry, and stratified social systems are the end results of regional and multi regional processes.